Tuned vehicles need more fuel, which at a certain performance level can no longer be supplied by a standard high pressure fuel pump. 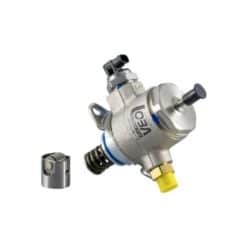 LOBA’s high pressure fuel pumps have been specially designed for use in tuned racing and road vehicles. They supply the necessary pressure and fuel, even at high performance levels, perfect for stage 2+ and stage 3 remaps. Available products for: VAG 1.4 TSI/TFSI, VAG 2.0 TSI/TFSI (EA113 & EA888), VAG 2.5 TFSI, VAG 4.0 TFSI, VAG 5.0 TFSI, VAG 4.2 FSI, Audi R8, Lamborghini Gallardo. Don’t see your part listed? Please contact us direct.